A few months ago my book pile was at the point of toppling over. Now it needs replenishing. (Nothing like browsing and buying books to reenergise the soul). A sense of achievement reigns over and I can look back and consider what I’ve read. Most were good; a couple excellent and there were a couple I could have done without. The latter were both psychological thrillers which, I’ve decided, are categorically not my preferred genre but were benignly recommended so I felt obliged to stick them out. I appreciate the plots are well thought through but in my humble opinion this over compensates for a lack of decent writing. Clunky descriptions, far too many adjectives, over sensational endings to each short chapter create a cartoon strip narrative without the distraction or excitement of comic book pictures. Suffice it to say, both titles were on the best seller list for ages so I accept I’m in a minority. (Nothing new there, then). Here are three I’ve really, really enjoyed. I’d award each of them 📚📚📚📚📚 in my own book rating system. 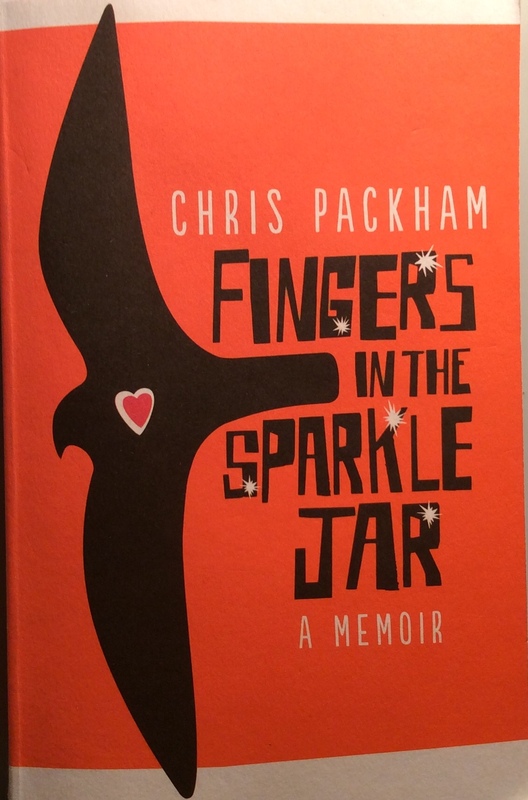 The childhood memoir of BBC Wildlife presenter, Chris Packham describes in vivid detail his early encounters and the obsession he has continued to have with the natural world. Chris, who was diagnosed with Asperger’s Syndrome at the age of 44 also details his excruciating school days, of not fitting in and how, at the age of 14, he took solace from the confusing world of people and escaped by hand rearing a baby kestrel. This obsessive association would affect the rest of his life, with almost devastating consequences. Packham’s prose sings off the pages. It is typically intense, brilliant and raw; in turns hilariously funny and desperately sad. It is both brave and honest. Whether he wrote this as an intentional cathartic experience or not, he gives the reader an insight into the extraordinary world of the autistic brain. Even though there are parts that make for uncomfortable reading, I loved every word. Since I read his book, a documentary about Chris, “Asperger’s and me” has aired on the BBC. He is patron of the National Autistic Society and has raised awareness of this debilitating condition and its associated daily struggles in this completely frank glimpse into his personal life. Seeing him as himself instead of the presenter we all think we know was a sobering experience. It made me love him all the more, realising just how much effort he has to put into his working life when he’d much rather be walking his dog in the woods. 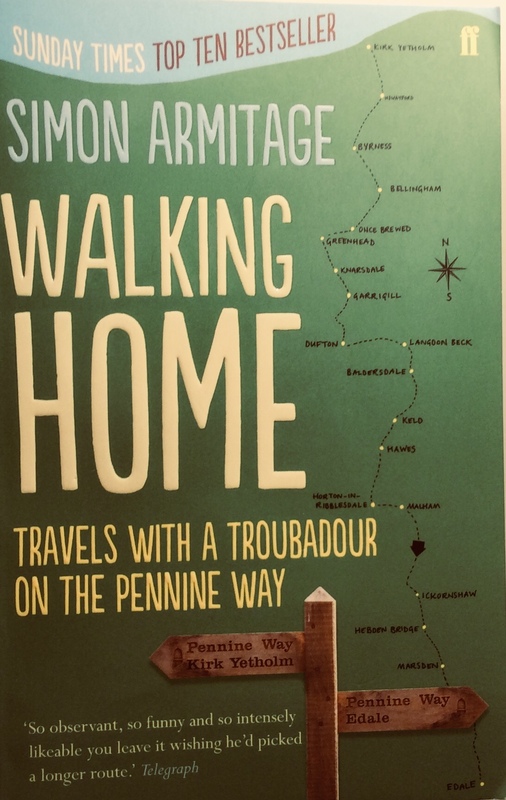 Poet Simon Armitage attempts the Pennine Way in reverse; that is, walking from Scotland to his home town of Marsden in Yorkshire. Aficionados of this route travel from south to north so that the prevailing winds are following them. Armitage undertakes to complete the walk in a fortnight, taking no money with him, pledging to earn his keep en route by giving poetry readings. His lugubrious progress, dogged by awful weather and slowed by folks who join him for parts of the route, is single-mindedly determined. There is no doubting that the 270 miles over tough terrain is a hard slog and then to spend his evening reading poetry to an assembled throng in return for his bed and board is often the last thing he wants to do but he relates his journey in a light, darkly humorous tone, which makes for easy reading. A true story of an ordinary couple from a small island in the Mediterranean who get caught up in an international tragedy and how the repercussions of this affects the rest of their lives. Told in stark prose by award winning journalist Emma Kirby, the opening chapter with its description of six friends embarking on a much relished fishing trip and what they come across will stay with the reader long after the completion of the book. Originally attracted to what they assume is the sound of excited seagulls, the full horror unfolds as the fishermen draw closer to discover hundreds of terrified people threshing about in the water after the vessel which had promised to transport them to the safety of Europe capsizes. As the friends call the coastguards they desperately try to rescue as many men, women and children as they can but realise their attempts are futile; the coast guards are slow to arrive. The people they left behind will haunt them forever. 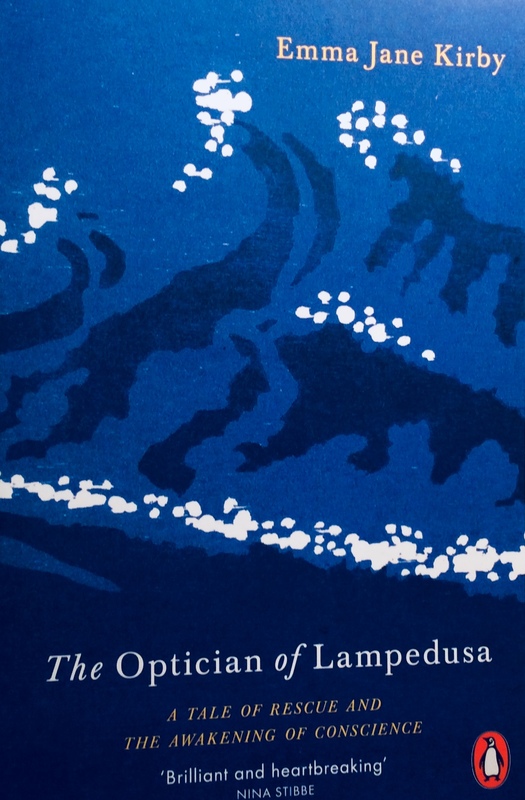 The Optician of Lampedusa is not an easy read by any means but it is an essential one. Are there any books that you’ve read lately that you would award 📚📚📚📚📚? I need to go on a book binge. Yes, books are always way better than the film version. Nothing on earth would entice me into watching the Branagh version of Murder on the Orient Express. I did not know Chris had Aspergers until very recently. I bet that is a good read! Congratulations on reducing the to be read pile. That must have taken serious effort. I look forward to reading about your replenishments. Thank you. Yes, it was satisfying to actually see the table top again…but I’m looking forward to creating a new pile. Hi Jenny! It’s great to see your post. Thank you for the terrific reviews. I’ve come to the conclusion that my piles of TBR books and others packed on my Kindle, will never be depleted…but that’s okay. Enjoy your weekend! Hi Lynette! I hope you enjoy a good browse sometime soon. And yes, steer clear of murder mysteries – they’re sooo last year! Interesting to read your reviews. I haven’t read any of these books but may well do so no. One I would like to recommend as everyone in our book group loved it is A Man Called Ove. Best book I have read in years. Ah, thanks for the suggestion. It’s my turn next group to put forward some titles so I’ll have a look at that one. Interesting books Jenny, I have the Chris Packham one to read but the others sound great too. Well you’re in for a treat. Thanks for checking in Andrea. These reads sound great and I will definitely try some of them out – especially appreciate being pointed in the direction of some non-fiction. I too struggle with the psychological thriller genre. I think it’s that they are so difficult to do well – most of the time I am just not convinced by the “psychology” involved ie the characters tend to be pulled around to fit a plot rather than feeling as if they have an integrity. Film tends to do that genre better, if I can use the term loosely to become a parallel – I’m thinking from Hitchcock through to The Usual Suspects. Hi Denise, yes, you’re right. Psychological drama on film or tv is much easier, somehow. I was sucked into Doctor Foster recently on BBC TV. A ridiculous story line really but the acting was excellent. I’d never have stuck that out in book form! I didn’t set out to review non fiction but it seems I had a run of reading that over the summer which wasn’t intentional. I’ve just finished rereading “Toby’s Room” by Pat Barker which is excellent. I wasn’t kidding when I said my book pile was diminished: I literally had nothing new to read. Revisiting a book is not something I do very often but on this occasion I’m glad I did. Everyone at work raves about Doctor Foster, I might have to have a watch. I read the first of the Regeneration Trilogy, which was good, but I didn’t feel the need to carry on, so a different group of people from Pat Barker would be interesting. Talking about war books, have you tried Neal Ascherson’s The Death of the Fronsac? That’s really excellent (bar a slightly saggy middle). War is another thing I am often disappointed in as a topic in novels. I watched Doctor Foster because Suranne Jones is in it. I think she is brilliant in whatever role she takes on. I haven’t read any of the Regeneration trilogy but would give it a go as I liked her writing. No, haven’t heard of The Death of the Fronsac. I’ll look it up, thanks for the suggestion – and happy Christmas reading! Have ordered the Simon Armitage. A similar book I enjoyed was ‘The Man Who Hated Walking’ by the late Overend Watts, guitarist with Mott the Hoople. It documents his trudge along the South Coast Walk and is very entertaining. Ah, good, Roy. I hope you enjoy it. Thanks for the suggestion of the south coast walk. Sounds just my sort of read – and I am familiar with some of the south coast path which always makes a book that much more interesting. I really like books based on people’s experiences and lives. I don’t mind historical fiction as long as the details of the background are good. I felt compelled to try and catch up with my fellow blogging friends over the holidays which had me set down my reeading novels and also the newspapers piling up. Thanks Robin, as always. I hadn’t really realised until I blogged about my latest fave reads that they were all non fiction…how mad is that? I have John W. Howell’s book “My GRL” which is espionage (Jill and Pauline I think, recommended it) he is also a blogger. I have Anneli Purchase’s book, “Marlie,” about romance and the Canadian landscape. . .
You have such a wonderful colourful way of writing Jenny – I’ve only just caught up with your blogs after a hectic 3 1/2 weeks in NZ and manic Christmas! Just reading ‘The Miniaturist’ by Jessie Burton re your recommendation and saw the BBC adaption over Christmas. Thought the acting was brilliant but enjoyed the gripping part 1 way more than part 2. I would be interested to hear your thoughts on the BBC adaption. Happy New Year, hope to see you soon! Thanks Ingrid – lovely to see you here! I did watch the BBC adaptation. I thought it was really well done, especially the sets of the interiors – just like an old Dutch master. Very clever. I thought the acting was good and they kept it pretty faithful to the book, so all in all, I enjoyed it 😊. Hey, Jenny — Thanks for the recommendations. (It’s Tracy Lee Karner, with a new name). I’ll add them to my Goodreads list. As for anything I’ve read lately that I’d give 5 stars to: I loved News of the World by Paulette Jiles. Tracy! Hi, stranger, and a happy New Year! Thanks for dropping in. I’ll be hopping over to see you soon.